Materials: Made of Low carbon black wire, Black annealed wire, Galvanized wire, Stainless steel wire, PVC wire. Wire diameter ranges from 0.8mm to 1.6mm ( wire gauges include 20#, 21#, 22#). Length: 4 – 14 inch. Materials: Fine low carbon black wire, Galvanized wire, Stainless steel wire, PVC wire. Galvanized and Black Non Galvanised U Type Wire. U Bending Shape Iron Wire : Dia 3.10 mm x 700 mm cut length, packed in 1 x 20 ft dry container with rust proof treatment. 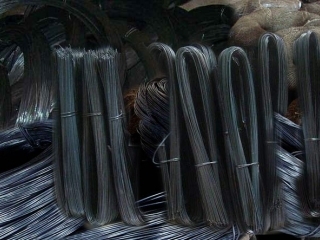 16 Gauge U Shape Black Annealed Or Galvanized Wire, 0.5-1.2mm Wire Diameter.